The customer is priority at B-Line. The culture we build at B-Line stresses this fact. We are the customer experience experts. The websites and web applications our team create are user centered, clean in design, efficient in information, all to bring about the best user experience possible in a website. B-Line is comprised of award-winning professionals who specialize in Data Base Design, Server Configuration, Project Management, Web Development, RIA(s) Design, and Graphical Interface Design. 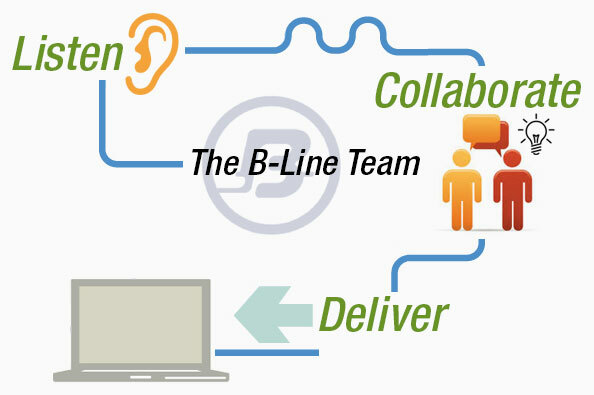 To every project, the B-Line team brings visionary leadership, cutting-edge technologies and a confidence that stems from years of experience building customized web-based solutions. Visit our Facebook page to learn more about the individuals who make up our extraordinary team.